Scary Stories 1: Eek! | Kevin Allison Presents: RISK! Live Show & Podcast! Spooky stories! Ben Garant of Reno 911! 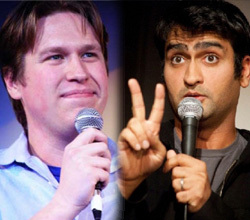 as well as Pete Holmes, Kumail Nanjiani, Ptolemy Slocum, JC Cassis, Heidi Rosebrugh and more. Music by Dan Rosen, David Buchs, Jordan Cooper and Fever Ray. Want to hear more spooky stories? Check out YIKES!, ZOINKS!, MUAHAHA!, EGAD!, ARGH!, ICK!, ACK!, GADZOOKS! and BOO! Heidi Rosebrugh had a good story and did a great job.